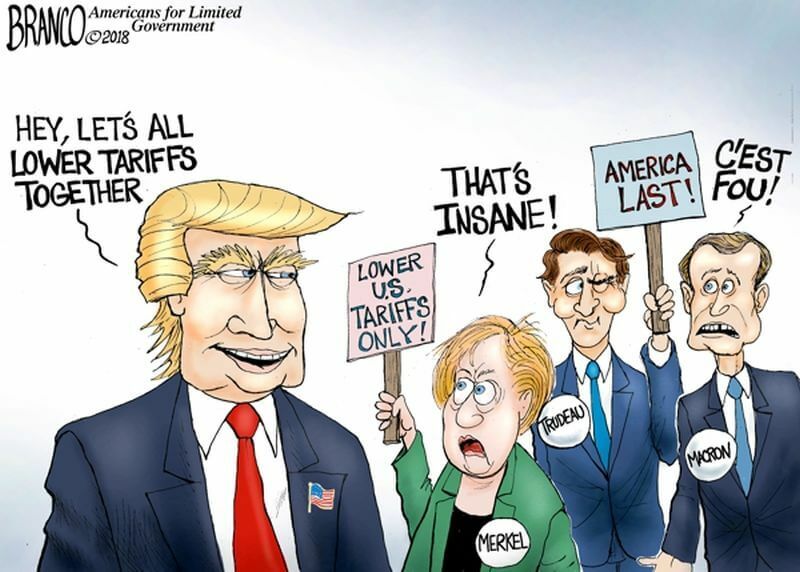 President Trump’s participation in the G7 conference in Canada focused on trade. Once again, he made it clear that he wants our trading partners’ tariffs and other barriers to U.S. imports to come down. This gave the American press the vapors, but why? Our president certainly should try to reduce obstacles to sales of American goods. But we can’t have — an example — where we’re paying — the United States is paying 270 percent. Just can’t have it. And when they send things into us, you don’t have that. Trump is right that most countries protect their agricultural industries with tariff and non-tariff barriers. (The EU’s ban on GMO crops is an example of a non-tariff barrier that is rational only as an act of protectionism.) The U.S. has the most efficient agricultural sector in the world, and since most countries can’t compete with our farmers, they erect trade barriers. How is this any different from our imposing tariffs on steel or automobiles? It isn’t. This is EXACTLY why Trump was elected. 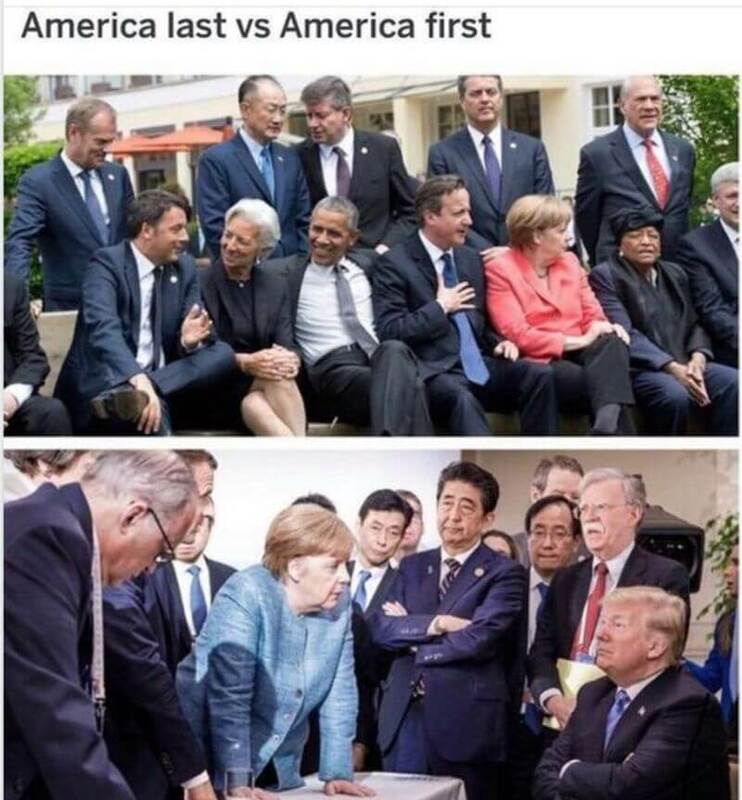 To shake things up and put the interests of the American people before the interests of any other nation.